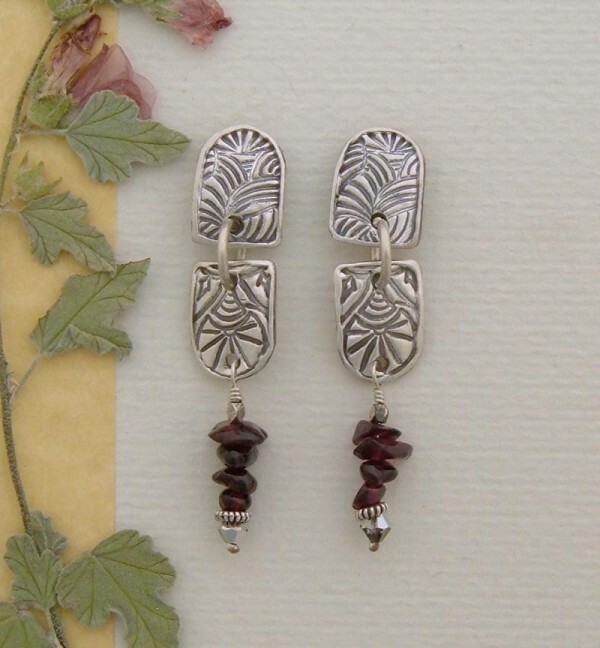 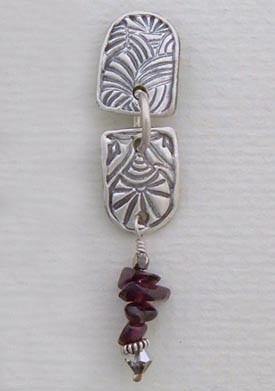 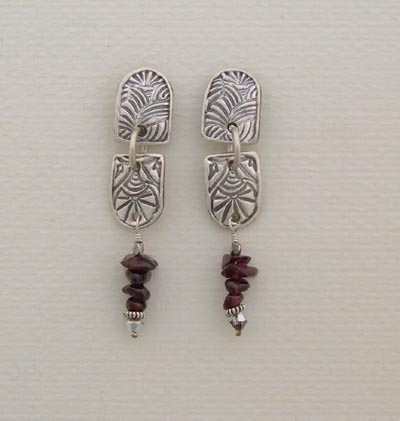 Handcrafted post earrings of Fine Silver and wonderful Garnet gemstone. 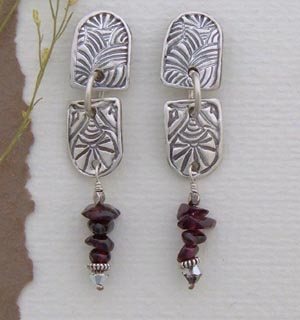 An attractive design, simple and classic that still get a second look of admiration. 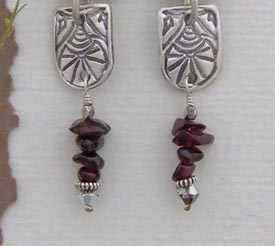 Comfortable dangle post earrings that aren't too long or heavy to wear. 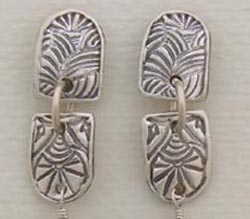 1/4"W x 2"L, surgical steel posts with hypoallergenic backs.